As the holiday season approaches the spotlight is falling on delivery truck drivers. These employees of course have valuable work to do all year long, but during the holidays they’re expected to above and beyond to fulfill demands, and to do so quickly and safely. Delivery truck drivers and driver/sales workers have a physically demanding job. Driving a truck for long periods of time can be tiring. When loading and unloading cargo, drivers do a lot of lifting, carrying, and walking. Delivery truck drivers and driver/sales workers typically enter their occupations with a high school diploma or equivalent. They undergo 1 month or less of on-the-job training. They must have a driver’s license from the state in which they work. 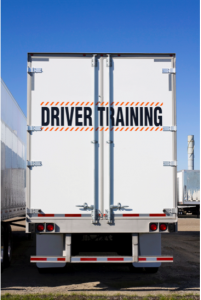 Companies train new delivery truck drivers and driver/sales workers on the job. This may include driving training from a driver-mentor who rides along with a new employee to ensure that a new driver is able to operate a truck safely on crowded streets. See the defensive driving course for drivers. New drivers also have training to learn company policies about package drop-offs, returns, taking payment, and what to do with damaged goods. Driver/sales workers must learn detailed information about the products they offer. Their company also may teach them proper sales techniques, such as how to approach potential new customers. After gaining a broader understanding of this career and the types of training undergone, it’s worthwhile to look in particular at UPS (United Parcel Service) and how their employees are trained since this is one of the world’s most well-known and leading delivery services. Recently the Wall Street Journal published a blog highlighting the UPS training program. UPS is a company that values training, spending tens of millions of dollars in this area each year. Typically an employee will participate in about 20 hours of blended learning and during their first month as a driver they’re expected to undergo several safety evaluations. 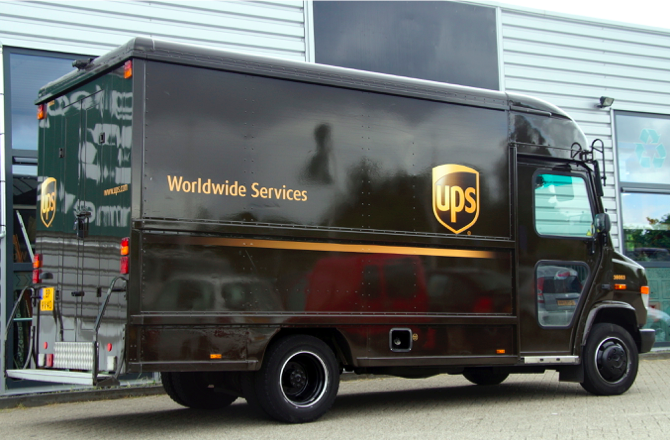 UPS in recent years has been moving increasingly toward innovative delivery techniques. On-the-road training is still important but it’s also paired with simulations and video game-style training. The majority of UPS driver recruits fall into the Millennial age group, and the company feels high-tech training is the best way to teach them the skills they need to succeed on the job. This simulation and online training were developed by a team from UPS and Virginia Tech. By getting out of the traditional classroom and using technology and hands-on learning, “we’ve enhanced the probability of success of these new drivers,” says Allen Hill, UPS’s senior vice president of human resources. Another way training is important for delivery drivers aside from the obvious safety and productivity issues they face? They’re also brand ambassadors for your organization. Delivery drivers typically spend more time with customers than sales people do, and having a positive interaction with a delivery driver can have a big impact on a customer. Delivery drivers can also reduce the possibility of there being a problem in shipping and delivery, when they’re well-trained. Use e-Learning and online training technology for delivery. There’s a couple of reasons this is the best delivery method. The first is that you can create a learning environment where it’s safe to fail, without life or death consequences. Drivers will feel more confident approaching simulation-style training so they can actually learn the best methods for safety. e-Learning also works well since drivers are always on-the-go. Using an LMS that offers mobile or tablet training modules will let delivery driver trainees access relevant information and refreshers from their device, even once they’re in the field. Carefully track driver and safety records regularly, which will allow you to customize training and focus it on areas where each employee needs it most. Even the most experienced drivers can benefit from a robust tracking system that looks at not only safety and performance records, but also pairs this monitoring and reporting with training records. Just as much as safety is a necessity in delivery driver training, so should customer service training be significant. Your drivers are the face of your organization in so many ways. Even if every other step in the purchasing process is impeccable, if delivery drivers aren’t trained in customer service it can spell disaster. Online training platforms are also perfect for offering customer service training using tools such as simulations, as well as videos and case studies. View training as continual throughout a delivery driver’s entire career. Training shouldn’t stop after orientation—it should always be built upon, much like UPS does. Blended learning is a great learning delivery style. Incorporate e-Learning and online training with on-the-job and ride along-style training to get the best results. Train not just on the expected but also potentially unexpected situations faced by drivers. It’s important to empower drivers in a way that makes them feel prepared and comfortable handling the unexpected, so consider this when designing e-Learning. Design training that promotes critical thinking, so that even if delivery drivers haven’t been trained on an exact scenario they encounter, they have the necessary critical thinking and evaluation skills to handle it. Great ways to encourage critical thinking include interactive learning, videos and case study evaluation. If you employ delivery drivers, how do you train them? Particularly as the busy holiday season is approaching? Training our truck drivers is very important. This is the main concern of every trucking companies before they deploy a driver behind those wheels. Make sure that they got the best training and enough information before we let them step on that road. Do you have a program of on-line training for van / hi-cube urban delivery drivers?